Stockport is a part of the Greater Manchester conurbation, located just south of Manchester. 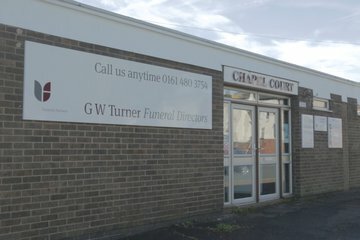 Stockport is well served by funeral directors with a long tradition of providing funeral services to their local communities. The majority of Stockport’s population identifies as Christian, while it also has a thriving Muslim community and a small Jewish congregation. There is a good range of funeral homes to cater for the specific religious and cultural requirements. Places of worship in the town include several mosques such as the Madina Mosque, Heatons Muslims Community Trust and Jamia Masjid. St Mary’s Parish church is an imposing building located in the historic market centre of the town, whilst nearby are St Joseph’s Roman Catholic Church, Grace Baptist Church and Stockport Christian Spiritualist Church. Synagogues located close to Stockport include the Yeshurun Hebrew Congregation in Cheadle and Menorah Synagogue in Wythenshawe, serving the needs of the Jewish community. Burials are offered at Stockport Crematorium and Cemetery on Buxton Road, where two peaceful chapels create an intimate and peaceful environment, surrounded by the well-maintained Gardens of Remembrance, which provide a fitting backdrop for a funeral or cremation. 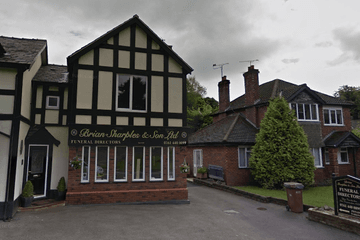 There is a wide selection of funeral directors in Stockport who can advise on arrangements for a traditional funeral, woodland burial or cremation to suit individual families’ needs and cultural preferences. 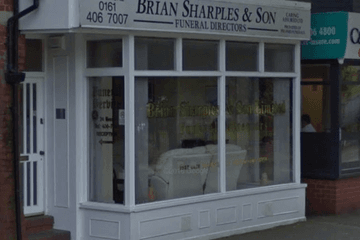 Search for local funeral directors in Stockport now using your postcode or area. You can filter search results by best rated, most reviewed or nearest to you. Click on a funeral director’s listing to see their profile page, where you can read independent customer reviews, search for recent obituaries, and get in touch to begin making funeral arrangements for your loved one.